Gain Experience: Locum tenens contracts allow exposure to different clinical settings, technologies, and practices. Each subset is extremely beneficial to the growth of your profession. Flexibility, Flexibility, Flexibility! In the locum tenens profession, how often you work is all up to YOU! It is extremely flexible… i.e. you can work part time with a few shifts, full time, sign up for a 3 month contract with the option to extend, and more! Locum tenens allows you to create your own schedule and choose your preferred quality of life. Exceptional Compensation. 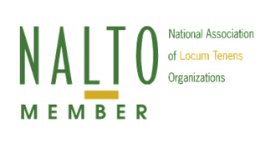 As a locum tenens provider, you are paid as an Independent Contractor (1099), which allows for certain tax advantages. Locums also offers a highly competitive compensation that many times can be better than that of a full time provider. Travel Opportunities are Endless! Locums Unlimited has placements nationwide, giving you the opportunity to see the country and provide a great service to those who need it most. Whether you want to visit a family member in Arizona or see the sites in New York, there are endless options to choose from. While on assignment, all travel is handled by Locums Unlimited allowing you to focus on what you do best, provide quality service! Unlimited Professional Networking Opportunities. Building your professional network is invaluable, and with locum tenens you open a door to many healthcare introductions. From medical specialists to clinical leaders, your network of professionals has the ability to expand infinitely!